A large wildfire burning near Big Sur in Monterey County has consumed more than 23,568 acres with no signs of containment this week. More than 2,300 firefighters are battling the Soberanes Fire, which has destroyed 22 homes and is only 10 percent contained, Cal Fire said Wednesday. So far, police say there has been one fatality, a male bulldozer operator. His identity has not yet been released. The wildfire also prompted Acting Gov. Tom Torlakson on Tuesday to issue an emergency proclamation for Monterey County. Authorities on Tuesday reported four firefighters suffered minor injuries, who were treated at the scene and allowed to continue their work. The blaze began shortly after 8:45 a.m. Friday at Soberanes Creek in Garrapata State Park, north of Big Sur, and crews expect to reach full containment on Aug. 5, according to Cal Fire. 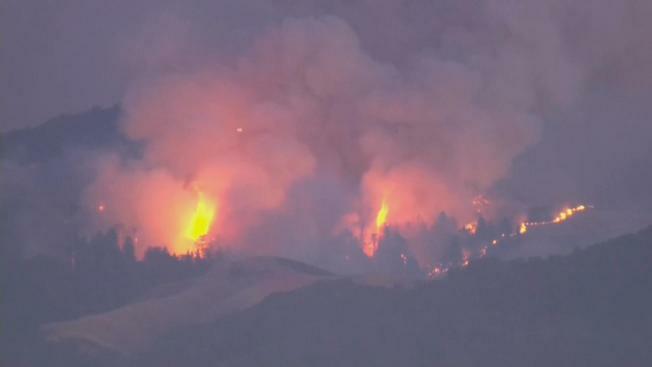 Meanwhile, more than 1,600 structures remain threatened by the blaze, Cal Fire officials said. No injuries have been reported. Multiple agencies are assisting Cal Fire in its suppression efforts by providing various resources including 14 helicopters and 215 engines, agency officials said. Crews are continuing to face problems accessing certain parts of the fire, which is very active above the marine layer, Cal Fire officials said. The extensive fire has led 300 residents to evacuate from the Palo Colorado community, Old Coast Road, Rocky Creek Road, Bixby Creek Road from state Highway 1 south to Mesa Road, Corona Road east of Highway 1 and Riley Ranch Road east of Highway 1, Cal Fire officials said. An evacuation center has been set up at Carmel Middle School, according to Cal Fire. People have been warned to leave southern parts of Carmel Highlands, the area south of Rancho San Carlos, White Rock and Old Coast Road south from Bixby Creek to Little Sur River, Cal Fire officials said. A closure is in effect for Palo Colorado Road at Highway 1, Robinson Canyon Road south of Penon Peak Trail and Weston Ridge Road at Highway 1, according to Cal Fire. The fire has prompted the closure of Garrapata State Park, Julia Pfeiffer Burns State Park, Andrew Molera State Park, Pfeiffer Big Sur State Park, Point Sur Lighthouse State Historic Park and the Pine Ridge and Mt. 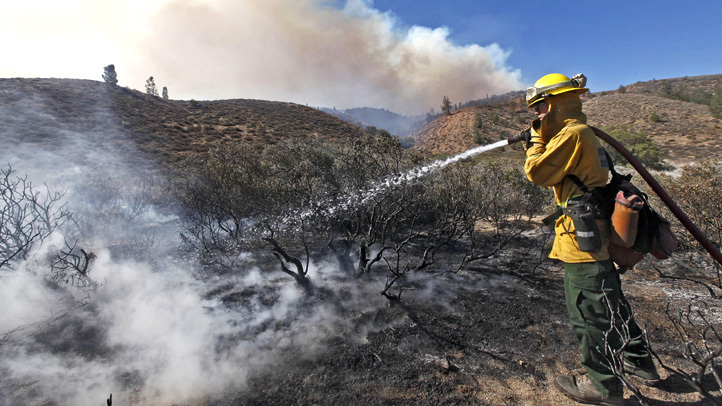 Manuel trails at Los Padres National Forest, state park officials said. As of Tuesday, the Society for the Prevention of Cruelty to Animals for Monterey County is caring for more than 25 pets evacuated from the fire, shelter officials said on Facebook. "We are also receiving calls from evacuees that their pets are at home and they can't get back to them so we are rescuing all we can," said Beth Brookhouser with the SPCA for Monterey County. The SPCA is also seeking cash donations, small bags of pet food and cat litter that can be made at Carmel Middle School or its shelter at 1002 Monterey Salinas Highway in Salinas. Anyone affected by the fire who needs help with pets or large animals may call the SPCA at 831-373-2631. For the latest on the Soberanes fire, visit the Cal Fire website.